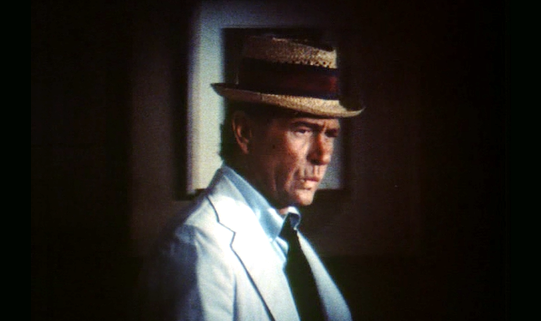 A horror TV cult-classic from the 1970s, Kolchak: The Night Stalker remains the great grandfather of the "monster of the week" genre in some crucial ways. The series follows the adventures of a rumpled reporter, Carl Kolchak (Darren McGavin) as he uncovers evidence of monsters in plain sight. But -- because the series was produced concurrently with the Watergate Scandal that felled President Nixon -- there's a strong Man versus City Hall aspect to the series, in addition to the monsters. In short, Kolchak the truth-seeking journalist must not only contend with vampires, werewolves, zombies and the like, but politicians and civil servants as well, and that's a key aspect of this series. 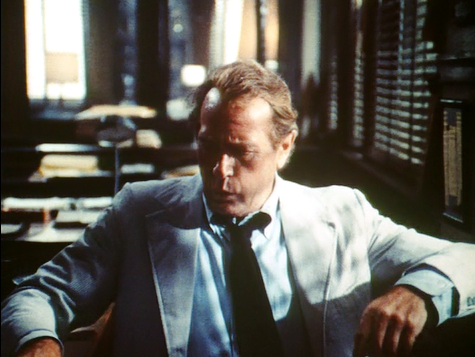 Kolchak -- in the spirit of the era's Woodward and Bernstein -- seeks to get the truth to his readership, but is stymied by power and corruption at many turns. 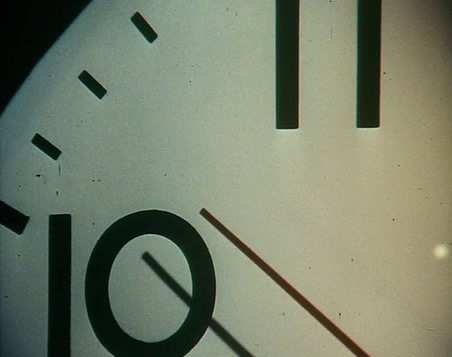 The series' opening montage is brief, but also beautifully-done. 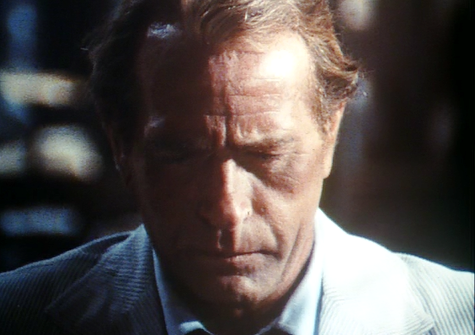 The following montage captures very nicely Kolchak's singular -- or is it solitary? -- presence, and prepares us for the chills and thrills to come. 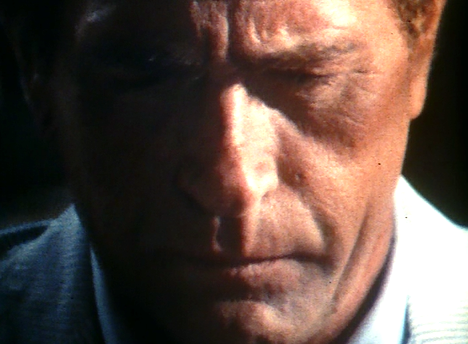 Kolchak: The Night Stalker's introductory montage begins, quite literally, with a whisper in the dark. Late at night, Carl enters the office of the INS, the news service he writes for, and whistles a pleasant tune. 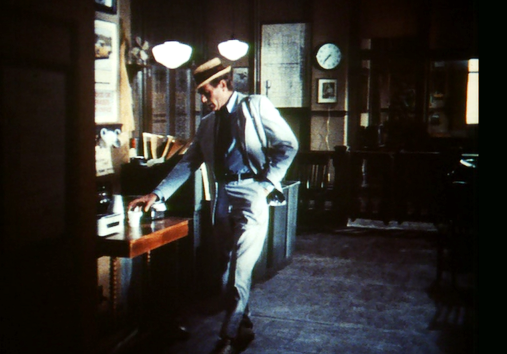 At first, as Kolchak enters the office, his space in the frame is abbreviated or cut-off. On both sides of him are darkness, and this is a crucial metaphor. On one side, monsters. On the other...avaricious politicians. 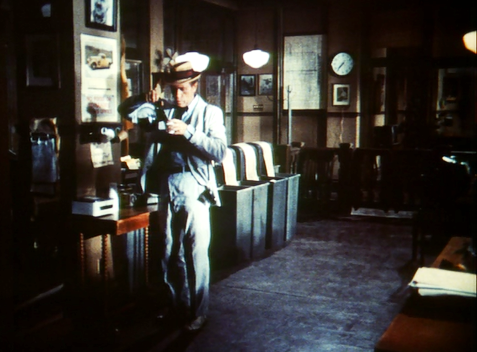 After a moment, we see that we are gazing at Kolchak through a book shelf (which accounts for the blackness bracketing him...) and the camera tracks him as he pours himself a cup of coffee. 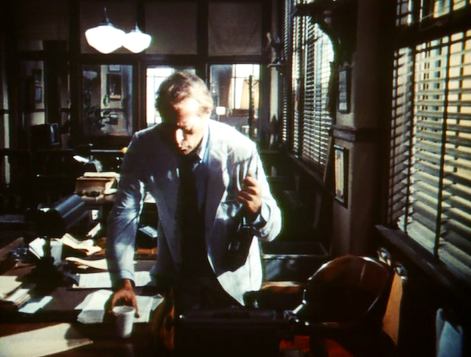 Next, a pan follows Kolchak as he moves to his desk. He throws his hat on a rack, and it falls off. He doesn't notice, and that's a key indicator that his mind is not exactly on what he is doing, but on bigger issues instead. 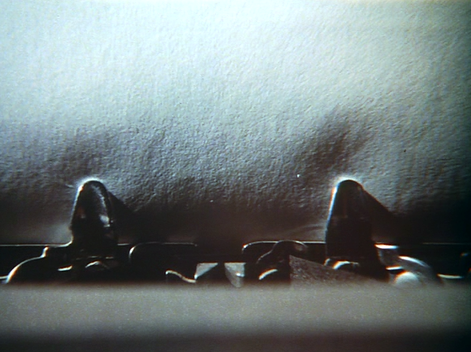 Next, Kolchak reveals his vocation as a writer or journalist to us. 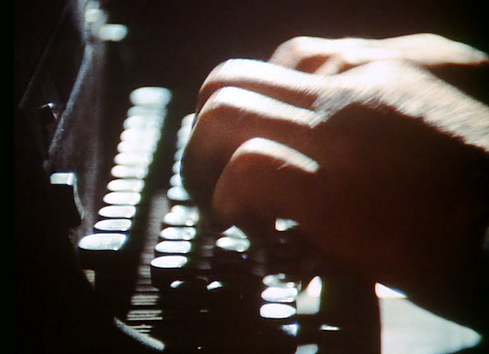 After sitting down at his desk, he gets out a blank sheet of paper, inserts it into the typewriter and begins typing. 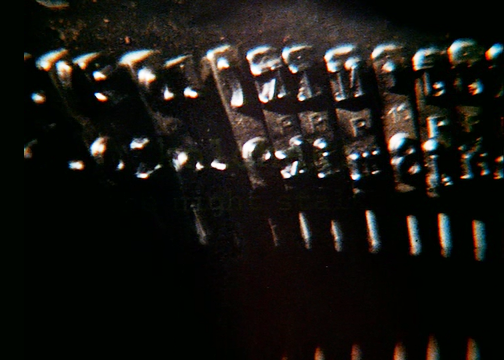 Importantly, the montage cuts to several insert shots of the type-writer mechanism at this juncture. We see the keys clicking and other details. 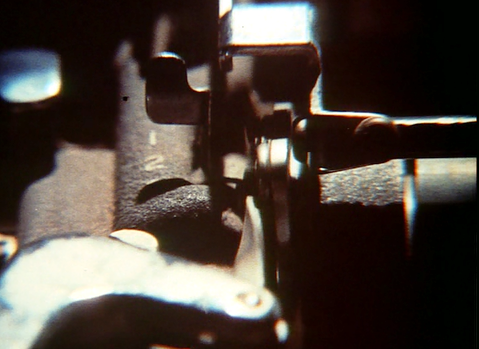 These close-up shots inform us that mechanics are indeed going to be important in the following tales. We are going to be asking -- like Kolchak the journalist -- who, what, when, where, how and why? 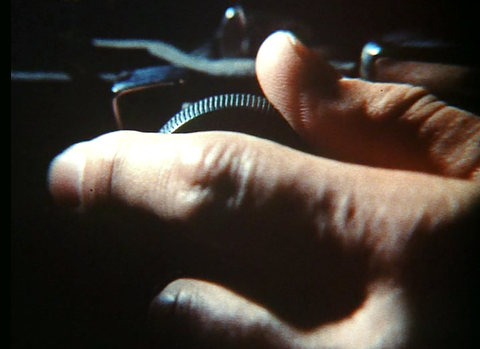 The focus on the typewriter mechanism hints at the actual "mechanisms" Kolchak's reports as he assembles his impossible tales. 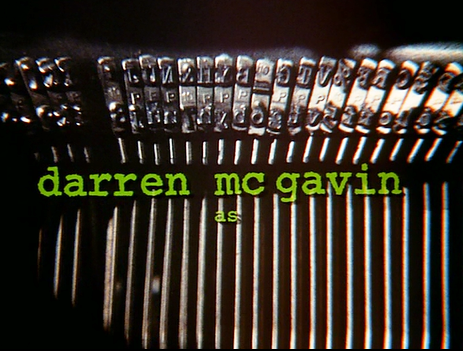 Next, we are introduced to our series lead, Darren McGavin. 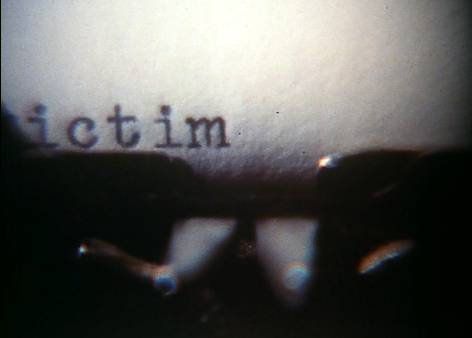 What remains so intriguing here is that the credit with his name on it is followed up by a close-up of the typewriter keys pounding out the word "victim." This seems an almost subconscious indicator of further danger. 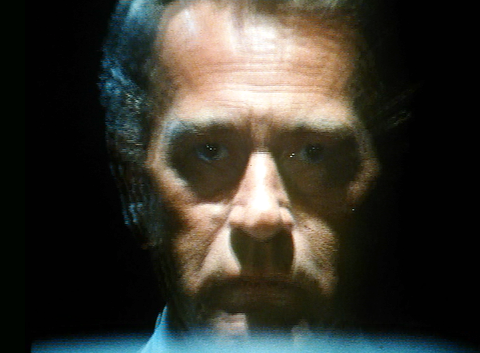 In seeking a story, Kolchak could become part of the story, and an unfortunate part as well. 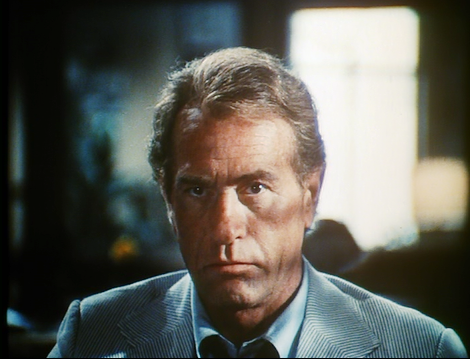 The final section of Kolchak: The Night Stalker's opening montage moves purposefully from the mechanics of Kolchak's vocation to the horror vibe of the series. to wit, Kolchak looks up from his typewriter as if he has heard something, or as if he is aware of some malevolent presence nearby. 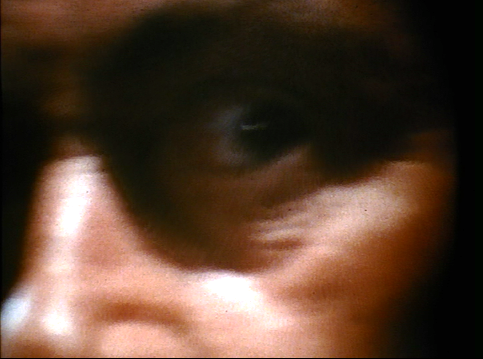 We move quickly from his quizzical face to extreme close-up insert shots of a clock, and then a fan spinning. There's a definite sense of building momentum here, as a kind of tension-based metronome ticks faster. At first, that metronome is the beat of the clacking keys. Then it is represented by the pace of the seconds hand on the clock. 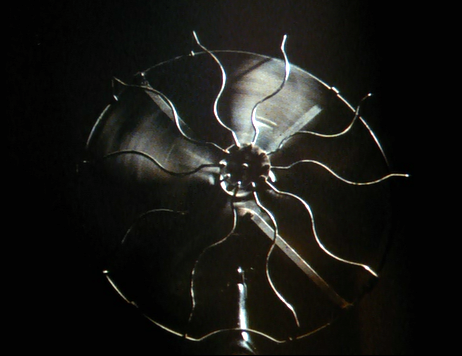 Finally, we are at top speed, watching the spinning blades of a fan. 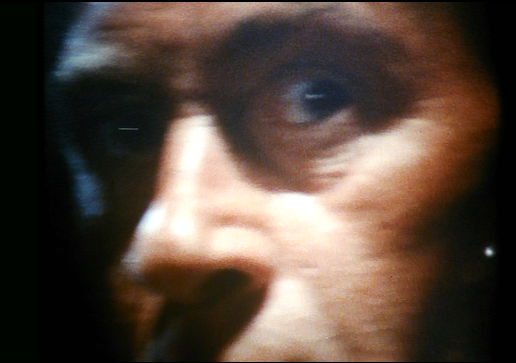 Suddenly, we zoom in on Kolchak's face, and he pivots towards us, detecting out of the corner of his eyes the previously hidden terror. He turns towards us (and we are in the position of that unseen terror), and the image freeze-frames on his inquisitive but terrified orbs. As we zoom in on the freeze frame, we fade to black. The monster is confronted. 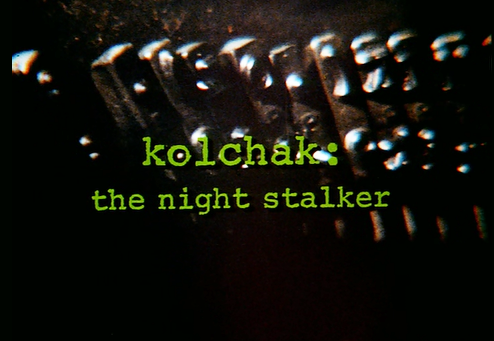 Without ever revealing a monster, a crime scene, blood, or any other tell-tale element of the horror genre, Kolchak: The Night Stalker's opening montage (accompanied by Gil Melle's at first pleasant and then driving title composition....) reveals a man alone, in darkness, reckoning with something terrifying and, at least at first unseen. Commendably, the entire montage plays as a representation of a journalist's life. He or she walks alone,until a story literally seems to attack, galvanizing the attention. John excellent analysis of the opening title sequence of my '70s boyhood favorite KOLCHAK:THE NIGHT STALKER. It does capture the horror and investigation of each episode that followed it. The '70s manual typewriter mechanical action striking the white paper is extremely engaging something that today's computer screen can never ever communicate. 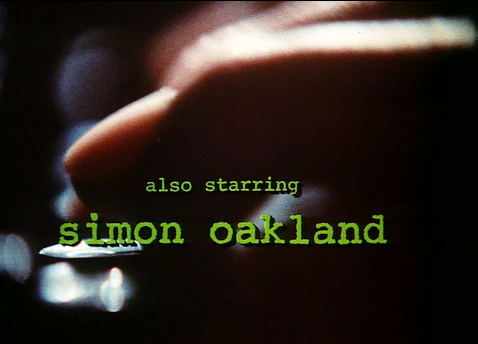 If this opening had been updated and duplicated in the short-lived abc 2005 NIGHTSTALKER series, much the way the new HAWAII-50 series copied the opening of the '70s series, then it might have had a chance to attract the viewer. This is the show that terrified me like no other. I was nine when it premiered and this opening sequence can still bring goosebumps. I consider this opening as one of my all-time favorites, along with the original "Outer Limits" intro, the "Six Million Dollar Man", "Muppet Show", and the 1980's version of "The Twilight Zone".